Noreen is Concierge Specialist at Exceptional Villas and brings a wealth of knowledge to the company. 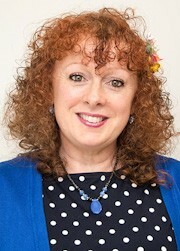 With over 20 years experience in the Travel Industry, Noreen has worked in Tourism Marketing and Hotel Management in Ireland, Great Britain and the USA. She has travelled extensively throughout North America, Canada, Asia, Europe & The Middle East. Noreen is responsible for all aspect of concierge prior to your vacation including car rental, VIP airport assistance, airport transfers, tours, excursions, restaurant reservations or simply to answer any questions you may have regarding your itinerary. She is responsible for concierge in many islands in the Caribbean including Antigua, St Lucia, Jamaica, Cayman Islands, Turks & Caicos and Mexico to name a few. "It gives me such great pleasure to help our clients make the most of their precious holiday time. Let me help you turn your dream holiday into reality." Noreen is eager to assist you with any services that you might require and is always at hand to make suggestions and offer advice in any way to ensure that your vacation will be a memorable one. "Your organization was very responsive – both you and Aine. I appreciate your help." "Noreen was above and beyond helpful. She made the planning experience so easy it was amazing. Every detail that she arranged was perfect. At every point of the vacation it was very clear she had handled each detail personally and made sure everything was in place." "My family and I can't tell you enough how much we appreciated the attentiveness of Aine and Noreen. Truly above and beyond." "Noreen was very helpful before we left.. We all have nothing but good things to say--thanks to everyone!!" "Thank you very much Noreen. You were wonderful to work with." "Noreen you are phenomenal you got back with me quickly every time I had a question." "Noreen, thank you for all of the information/confirmation details for our trip. We all are so very much looking forward to our trip to St. Lucia and our stay at Cayman Villa. Working with you on this trip has been nothing short of an exceptional experience from the onset and it is greatly and highly appreciated. With our Barbados trip last year and our upcoming St. Lucia trip, planning our vacations thru Exceptional Villas has been the epitome of top notch, A+ rated, superior service. Once we return from St. Lucia I will be ready to begin preparations for another vacation rental!" "And yes, you have been taking EXCELLENT care of me. I can't tell you how much I appreciate it. And I hope I haven't been too much of a bother. I tend to be high maintenance when it comes to making plans like this. You have made this process SO much easier than it would have been if I’d been on my own. This concierge service offered by Exceptional Villas is extraordinary. Thanks to you and to the powers-that-be who make it possible!"